approx.Net wt - 90g approx. 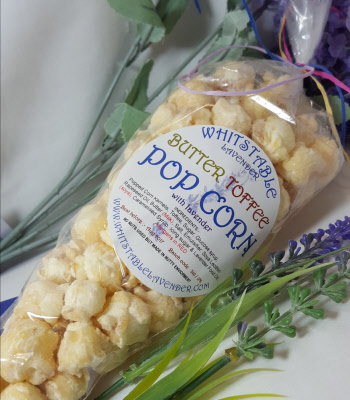 Butter Toffee Popcorn with Lavender - Eat by the Best before date - once opened keep refrigerated & consume within 4 weeks. 90g. approx. 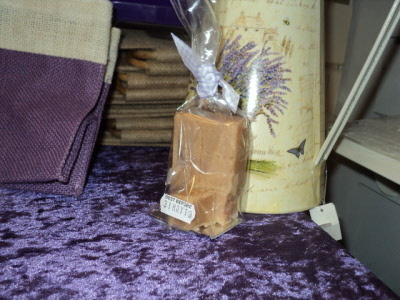 Our food products do not contain any artificial colourings or flavourings.Ingredients:- popped corn kernels, toffee, sugar, glucose syrup, rapeseed oil,butter, milk,salt, emusifier: soya lecithin, caremilised syrup, icing sugar with Lavender food oil.